What do they look like? 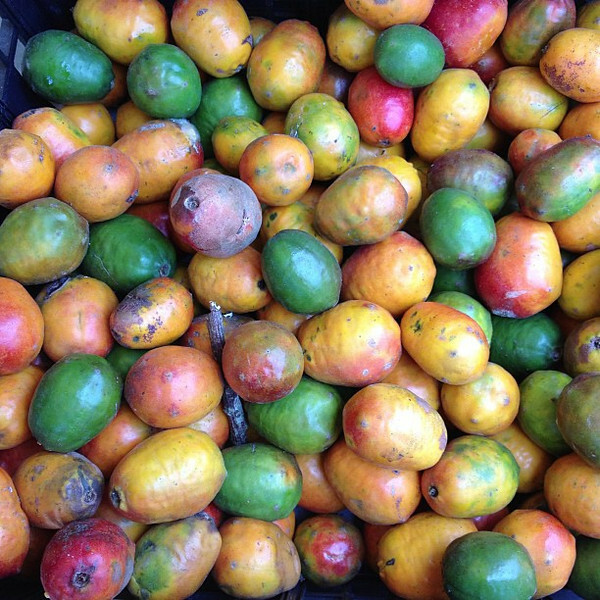 Actually, it's a bin of Jocote, a nifty fruit we tasted for the first time in Costa Rica. Unusual skin, big pit, beautifully sweet, mango-like flesh. One of the most pleasant new fruit discoveries for us in a while.